Founded in Sep 2015 by Siggi Buss, MoneyPenny is an innovative and intuitive time-tracking and invoicing system designed for freelancers and small businesses. It offers professional looking templates which can be used for effectively tracking the work hours of your employees in real-time. Apart from time tracking, it can also be used to automate the complete invoicing process so that you can focus on other important business activities. Freelancers and Companies with teams distributed across different locations have trouble with time tracking since they work in various time zones. In such cases, it is really challenging to synchronize all the project activities, estimate the project budget and track invoices. Also, clients in international locations will use different currencies and different languages which make it even more difficult. 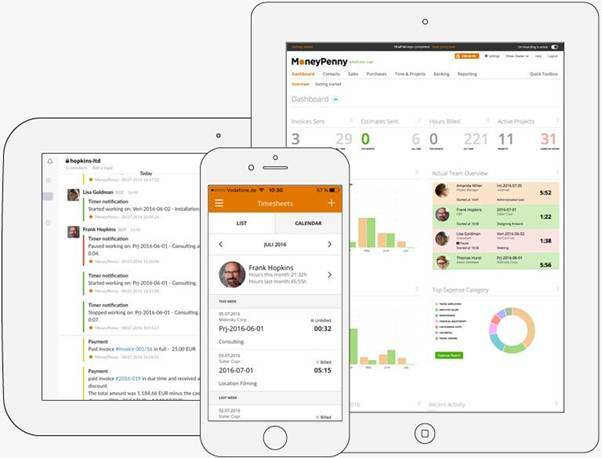 MoneyPenny is the perfect solution designed for such distributed teams and freelancers. It is available in 10 different languages and supports more than 180 currencies which make invoicing your international clients a lot easier. MoneyPenny also allows you to log important meetings and projects which will be invoiced to your clients. It allows you to manage all your employees and track project activities with great efficiency. Project managers, Team leads and Business owners can make use of the timesheet calculator and various advanced time tracking features of MoneyPenny to assist them in proactive team management. MoneyPenny allows team leaders to track projects in real-time and there are apps available for Android phones, Tablets as well as iPhones. MoneyPenny has been designed to be compatible with all web browsers and different screen sizes. It is one of the effective tools to track tasks in real-time and manage your team members, review and monitor their performance on 24/7 basis from anywhere from a desktop, laptop, tablet or phone. MoneyPenny also allows businesses to create detailed invoices in seconds which can be forwarded to their clients instantly. It allows you to track and manage your business expenses and create recurring invoices effortlessly. MoneyPenny allows you to convert estimates to invoices with just a few clicks. You can calculate and auto-approve timesheets and set automated payment reminders for already sent invoices. Detailed Time Tracking tools to track, log and invoice time on various projects or even on specific tasks. Smart and Automated Invoicing with minimal effort. No more excel sheets or word templates. You can create sleek, stylish and branded invoices using the available invoice templates which can be customized according to your business requirements. You can generate recurring invoices automatically and turn your project estimates & time entries into invoices with a push of a button. Integrated Project tracking and performance monitoring of your team members to measure key performance indicators. It allows you to link estimates, invoices and payments in a single workflow. Auto time-tracker and customizable timesheets available for tracking project time. 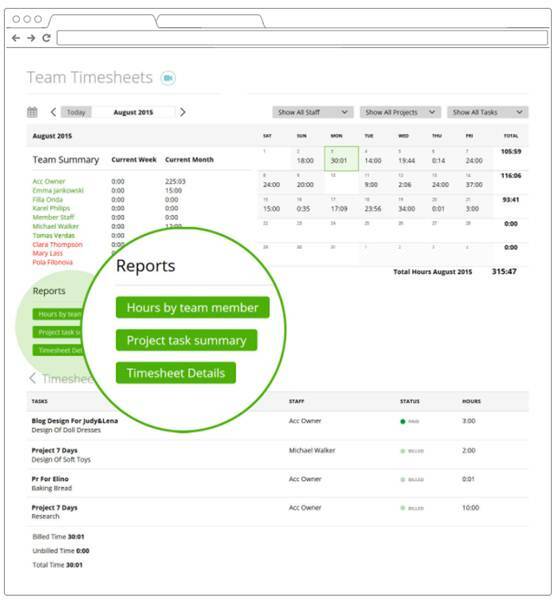 You can calculate work hours of each team member and bill the clients based on timesheets. Detailed Expense reports and Swift payment reminders. Allows to generate and export customized annual, quarterly and monthly tax reports instantly. Document Management allows you to store and access files in the cloud for up to 5GB. Team Management, Budget Management, Customer Management and CRM features all built into a single application. The Live Time Tracking 4.0 allows you to fully automate employee work time tracking. Automated invoicing and payment reminders allow you to focus on other business activities without worrying about expense management. MoneyPenny can be used to generate smart business graphs and flow charts by feeding all your business data which will provide a clear visual analysis of your projects and help you make the right business decisions. MoneyPenny received the Rising Star 2017 and Great User Experience 2017 awards from B2B directory FinancesOnline. MoneyPenny is Software as a Service solution with monthly subscription plans starting from 15$ per month for a single user. The professional package which supports a team of 5 users will cost $35 per month. Enterprise users with up to 30 team members can go for the subscription package costing $55 per month and the prices can increase based on team size. They offer a 30-day unlimited free trial for all versions. MoneyPenny is the smartest Time Tracking and Online Invoice Software designed for Your Business. Whether you are a startup-founder, small business owner, Team leader of a large organization, MoneyPenny can assist you to track time, manage projects, teams and expenses. It is an amazing tool which simplifies expense management, bookkeeping, project and team management, time tracking, online invoicing altogether with a single application.